Gehlot's trademark stamp on Congress' Gujarat strategy was evident in the way the party attempted to build caste alliances as an antidote to Hindutva politics. 13th of April, 2013. It was well past midnight when the then Rajasthan chief minister received a phone call from Congress President Sonia Gandhi. Ashok Gehlot had ordered arrest of Vishwa Hindu Parishad (VHP) international president Pravin Togadia, who was leading a Trishul distribution campaign in Ajmer, a communally sensitive town. In six months, the Congress under Gehlot was to face elections and the party wanted to tread with caution. "But Gehlot was very clear. Anyone breaking the law had to be dealt with, he instructed the officials," a close aide of the former CM recalls. Togadia had to spend a fortnight in jail and VHP campaign couldn't find its feet in Rajasthan. In the caste-ridden politics of Rajasthan, Gehlot has been a surprise success story. To survive amongst stalwarts like Haridev Joshi, Shiv Charan Mathur, Parasram Maderna, Buta Singh, Balram Jakhar, Jagannath Pahadia and Ram Niwas Mirdha, and complete two full terms in the chief minister's office is no mean achievement. Each of these individuals was a mass leader unto himself. Some represented more powerful caste groups than Gehlot's. He comes from backward Mali community in Jodhpur, a minuscule minority. His father was a magician. Perhaps a bit of the art rubbed on him. Not in the least in oratory, but in the instant rapport he can strike with workers wherever he goes. "He started his public life writing letters for people recuperating in Jodhpur government hospital who had no other means of communicating with their families in far-off villages," says another leaders close to Gehlot. A local journalist recalls how he would often refer to state Congress as 'prakosht Congress' for the innumerable departments Gehlot had created as president of the pradesh congress committee. "Later I realized that he was meticulously nominating people to create a strong organization in small towns. Gehlot's selection to coordinate the party's election campaign in Gujarat was a bit surprising. The soft spoken quintessential Congress leader was being entrusted to take on Modi-Shah duo known for their aggressive politics." But this was not the first time when Gehlot was working in Gujarat. "Gehlot acquired some good experience of Gujarat politics in 2005 when along with Mukul Wasnik he coordinated a party event to mark 75 years of Mahatma Gandhi's Dandi march," says a senior Congress leader. In fact, Sonia Gandhi as the leader of opposition started her first mass campaign in the run up to the 2004 polls from Rajasthan. Gehlot was the state chief minister. Sonia did her first roadshow, an extended yatra from Hanumangarh to Jodhpur. After being made Gujarat in-charge, Gehlot's first test was to ensure Ahmed Patel's victory in the Rajya Sabha polls. He managed that by the skin of his teeth, giving a big boost to the party in the run up to the Assembly polls. Gehlot's trademark stamp on Congress' Gujarat strategy was evident in the way the party attempted to build caste alliances as an antidote to Hindutva politics. 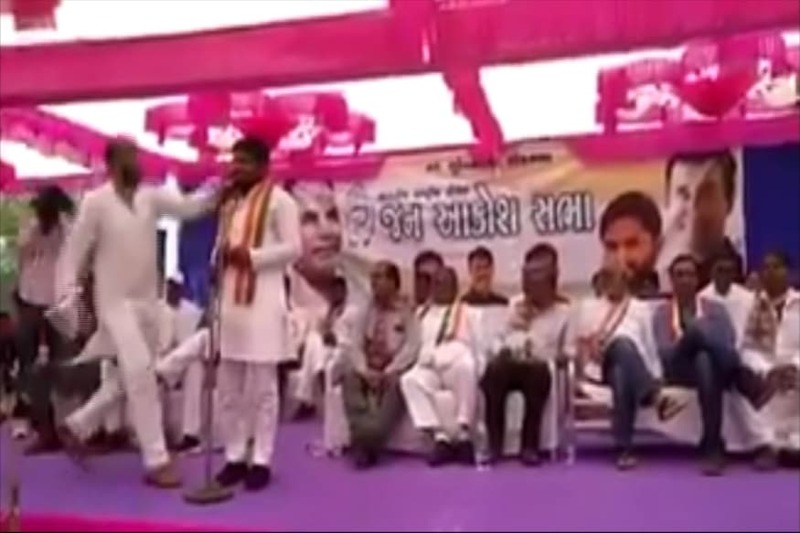 Hardik Patel, Alpesh Thakor, Chhotubhai Vasava and Jignesh Mevani — they were all meticulously picked to create an umbrella coalition. Irrespective of the outcome of Gujarat polls, Gehlot — the Jadugar from Jodhpur — is once again back in the reckoning to lead the charge for Rajasthan Assembly election next year.